Melasma is a typical skin condition that causes the presence of brown to gray-brown patches of skin because of the body delivering an excess of melanin, a characteristic substance that gives color to our hair, skin, and eyes. It generally appears on the face, (cheeks+nose) forearms or neck. Genetic predisposition may give rise to darkening of the skin. The condition is often linked with female hormonal changes. Change in level of estrogen and progesterone may cause melasma especially during pregnancy and menopause. 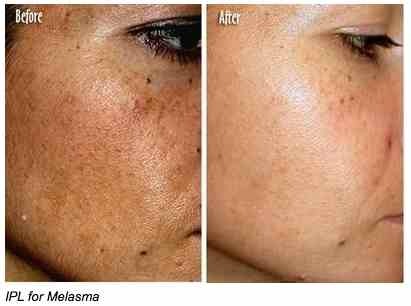 Melasma causes patches of staining. The patches are darker than your normal skin color. It commonly happens on the face and is symmetrical, with matches’ blemishes on both sides of your face. Different areas of your body that are often exposed to the sun can likewise develop melasma. It can likewise happen in the neck and lower arms. The skin discoloration doesn't cause any physical damage; except, you may feel self-conscious about the way it looks. Stopping hormone medicines that might be the cause of the problem.